The streaming era has taken some of the thrill out of being a music fan. Apple has discontinued the iPod Nano and iPod Shuffle. There wasn't much fanfare; it was a pretty quiet ending, when you consider that these devices defined a generation and changed the way we listen to music. It's utterly unsurprising that Apple made this move -- after all, it discontinued the iPod classic back in 2014. There's just not a need for these devices anymore. With the dawn of the streaming music era, why would you need to carry a physical version of your music collection? The Nano and the Shuffle were the smaller versions of their original big brother. The larger iPod (remember the days before it even had a click wheel?) was to carry your entire music library -- the Nano and Shuffle were just for a taste, the amuse-bouche of your tunes. Whether you were listening with those trademark white earbuds or through an unwieldy FM transmitter in your car, with your iPod snugly in its sock, for a bright moment, the way we listened to music was at the center of our culture. It's almost funny, then, that Apple itself is responsible for making its own devices obsolete. When it introduced the iPod, and later the iTunes Store, it triggered a sea change in the way my generation interacted with music. It wasn't just something we listened to; it was something we experienced. But slowly, as our sights shifted from buying digitally to streaming, iPods became less important. Apple pivoted the music industry toward streaming. It's the natural end of a shift that happened almost two decades ago, and it sowed the seeds for the obsolescence of the iPod. And yet, for those of us who remember binders upon binders of CDs, this is a sad day. 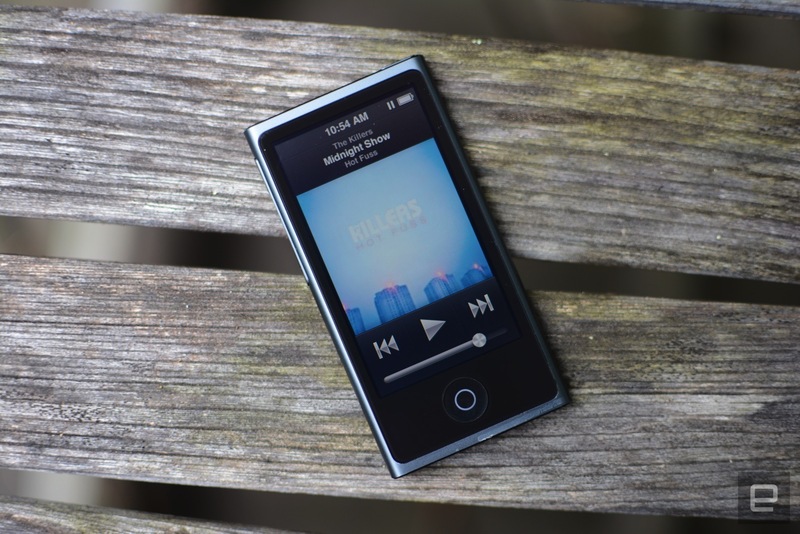 The end of the iPod as we know it is more than just the discontinuation a device. It's an acceptance that the heady days of my youth, when I agonized over music selection, are over. I used to painstakingly curate my library; it was something I shared with pride. There was a song for every occasion, whether to describe my current emotions or offer a deeper peek into my very identity. Music spoke to me; it defined me. But as I came into adulthood, with all the responsibilities that went along with it, my interest in music dwindled. I didn't have time for all the passions of my youth, and frankly, it was much easier to listen to a preselected playlist on Spotify than to carefully curate my library and explore new artists. I always thought it was a temporary thing, though; one day, music would return to its pedestal in my life. But now, I realize that day will never come. The truth is, streaming music has made it so much easier to be a music fan. Virtually every song I could want to listen to is at my fingertips. But there's something lacking about this. By granting me the ability to listen to everything I want, streaming music has taken something vital away: the hunt, the quest, the sense of triumph that comes with discovering that amazing new band that gets you. Don't misunderstand me: I'm not nostalgic about the days of screaming at my iPod as it laboriously synced with iTunes. I don't miss hitting the bottom of the device against something every time it displayed the Apple screen of death (something to do with the hard-drive connections being loose?) I don't even miss the hours I used to spend looking through music websites to find new artists I might want to listen to. Technology and discovery are so much better these days. What I miss is something much more personal, a reflection of myself rather than of a device. I miss wanting to do these things. I miss caring enough about music to spend time and energy on it. I miss it having a place at the center of my life, as the key to my identity. I miss valuing it because it made me work for it. The music is still there. It's my relationship with it that I find wanting. For many who still collect CDs and vinyl, there is still that physical connection to your music. But for the rest of us, the iPod was the last remnant of that era. It was the tangible embodiment of what our music meant to us, but it's also the reason we no longer have that connection. Yes, the iPod Touch is still around, and of course, I can load up my iPhone if the mood strikes me. But it seems almost poetic that the device that was the first nail in the coffin for the standalone iPod, the iPhone, doesn't even have a headphone jack anymore. Technology is changing and evolving, and that's a good thing. Soon, I'll forget about my iPod nostalgia and move onto other, better things. But just for this moment, I'm going to choose to remember a time when the iPod taught me that music was all I needed.